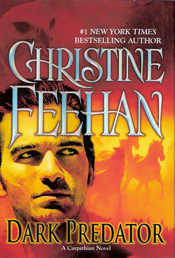 As most of my friends and family know, Christine Feehan is my favorite author. The Dark series, is my favorite series, followed by the Leopard series. I have been looking forward to this book ever since Feehan’s site posted it as an upcoming release. With that said, I was somewhat disappointed. Total bummer. Zacarias, the oldest of the De La Cruz brothers, sets out to accept the sun’s destruction. He can no longer handle the dreary gray existence and tells his brother that he will seek death in honor rather than turning into the undead and being hunted by the very people he once loved. For the first time in the long centuries a deep-seated rage coiled in his belly and smoldered there, that someone dared defy his direct order. She had no right. She knew better. No one ever defied him-certainly not a human, and definitely not a woman. You will suffer as no one else has ever suffered for your disobedience, he promised, thrusting the words into her brain. Unlike the majority of the Dark series novels, Marguarita accepts Zacarias’ dominance and vows to be in his service, to please him .. whatever it takes. The relationship is interesting to say the least. Unlike the other books, if her presence in his mind is lost, if she builds those barriers to throw him out of her mind, he is tossed back into his dangerous gray world, once again a dark predator. The bad guy of this book is one of the Malinov brothers, Ruslan. Once Zacarias’ best friend, Ruslan has sought out to destroy him or bring him over to their undead ranks. Of course, Zacarias will have no part in their plan as he is a Carpathian hunter with honor. Zacarias had seen his share of rotting corpses, but nothing equaled Ruslan Malinov. Flesh peeled off of him. Worms crawled through gaping holes in his flesh. His mouth was more of a gaping hole, without lips, his eyes sunken. Every living thing shrunk from him, grass withering, ferns and moss going muddy brown. Even the insects scurried away. Only the black flies persisted, feasting on the rotting flesh and depositing as many eggs as possible in the blackened organs. I have been looking forward to the “Zacarias book” for many books now. There was always this huge build up, awaiting what would finally save Zacarias and whatever battles he must fight in order to be with the woman that brings light and colors to his life. None of that happened. This book had few struggles and fewer battle scenes. Although the attraction between Marguarita and Zacarias was intense, it will never compare to those before him. I see you. All of you. I will however, recommend this book to ADULTS only. This is the 22 installment in the Dark series and a MUST read for everyone reading these books. Semi strong sexual (as brief as it was) content, moderate to severe (though short) violence. I do not recommend this book to children or immature adults. 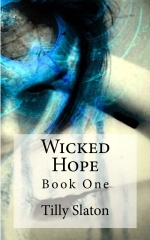 This entry was posted in Reviews and tagged book review, Christine Feehan, Dark series, paranormal romance, shape shifter, vampire, vampire hunter. Bookmark the permalink.